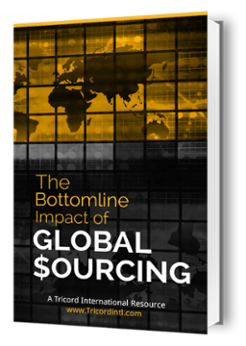 An effective way for businesses to reduce costs is global sourcing. However, to reduce costs through global sourcing, it is important for businesses to consider all costs related to it. There are many costs that businesses do not consider before entering into a global sourcing contract. These costs include the duties, taxes, and excises. Not considering these costs before you buy offshore can sink the ship for you. Therefore, it is important that you understand the duties, taxes, and excises related to global sourcing. Often, there is massive discrepancy between the real and anticipated total landed cost of goods. Ignoring the duties, taxes, and excises related to global sourcing is a major reason for this discrepancy in costs. When clearing shipments into the United States, businesses face many obstacles. Often the obstacles and payments related to the clearing of shipments overwhelm businesses. A major reason for this overwhelmingness is not considering or inaccurately evaluating the duties, GST, custom charges, taxes, and port surcharges related to international sourcing. Therefore, it is important that you understand and accurately evaluate these costs before you buy offshore. Following are the things US based businesses need to keep in mind when sourcing from low cost countries. Sourced goods with a value of $200 or more are subjected to custom duties. Also, it is important for you to keep in mind that some goods are taxed more than others. An example of such goods would be agricultural and food products. Additionally, duties keep changing from time to time. Setting up duties is the responsibility of the central government and they assign a unique commodity code known as harmonized code to every product. The code lists the duties attached to the product. Therefore, it is important that you check the duty rate in the United States for the product you’re sourcing. Unlike the European Union, the United States does not impose VAT on goods. However, it does have federal excise tax that it imposes on certain sourced goods. Therefore, it is important that you find out if the Federal excise taxes apply to the good you’re sourcing. By considering the above-mentioned duties, taxes, and excises related to global sourcing before you buy offshore, you will be able to avoid many global sourcing problems.